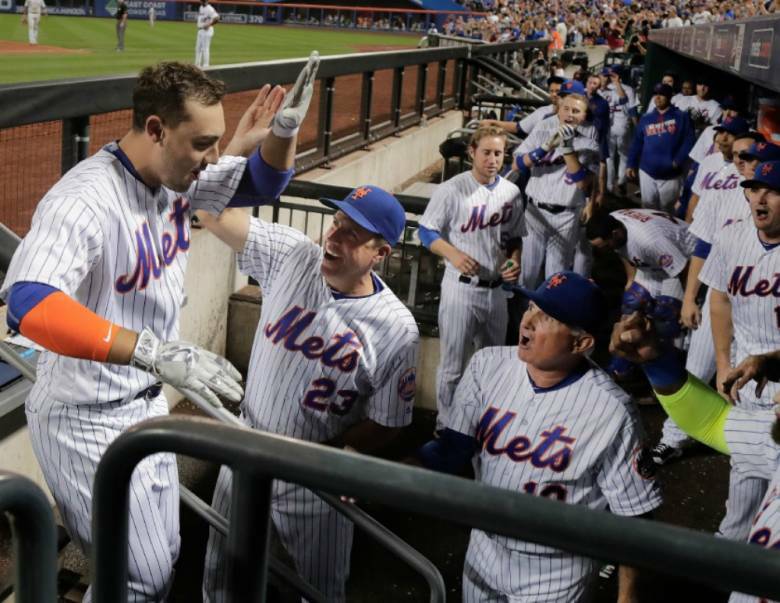 Friday September 23rd 2016: Fresh off the night after Asdrubal Cabrera blasted a three run walk off HR, and finding out Noah Syndergaard will mis Saturdays start due to an illness, the Mets did what they needed to do, beating the Philadelphia Phillies to stay atop the wild card race. 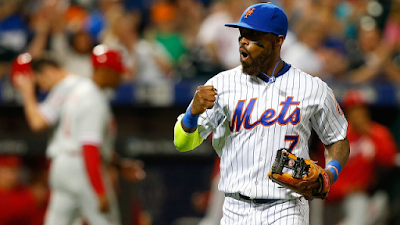 The Phils came up with two early runs off Mets spot starter Gabriel Ynoa, but the Mets came back in the 2nd, with doubles from Michael Conforto & Travis d'Arnaud. But the Phillies took a 3-1 lead into the home 5th inning. Rene Rivera singled & then after fouling a ball off his knee, Asdrubal Cabrera walked. He would later leave the game. 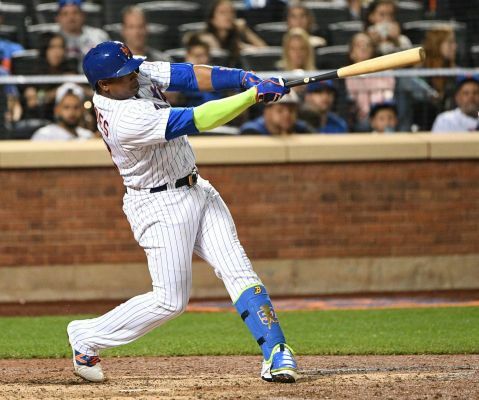 Yoenis Cespedes then drew a walk as well to load the bases. Then the Mets continued the rally as Curtis Granderson drove in his 15th run of September, followed by another clutch hit by Kelly Johnson scoring Cabrera & Cespedes. Then Michael Conforto got his second extra base hit of the night, a long opposite field three run HR, making it 7-3 Mets. It was his 12th HR of the year. Conforto who had been struggling all year in & out of the minors relished the moment with a real true smile on his face. Hopefully we can see the Conforto of 2015 the rest of the way. In the 7th Cespedes blasted a double to left field, Granderson then walked. 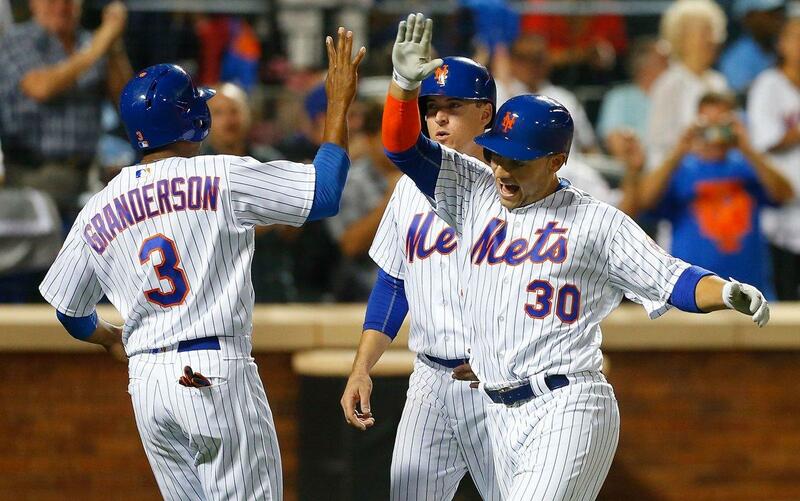 Juan Lagares, still hurting with his thumb, did all about he could do, he bunted. He came through with a base hit scoring Cespedes. Pinch hitters Eric Campbell & TJ Rivera both came through with RBI singles, making it look like Terry Collins is pushing all the right buttons. Six Mets pitchers helped the cause with Hansel Robles putting in 2.2 innings closing out the game, helping the bullpen since Jeurys Familia was not available. The Mets took the 10-5 win going up 1.5 games on the St. Louis Cardinals and moving ahead of the San Francisco Giants as they started their game in San Diego.